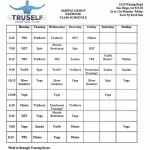 TruSelf Sporting Club – Allied Gardens Sample FREE Group Exercise Class Schedule is up! Remember all of your classes are FREE included with your membership dues! There is no extra cost, guaranteed renewal or tiered pricing. You have access to it all! 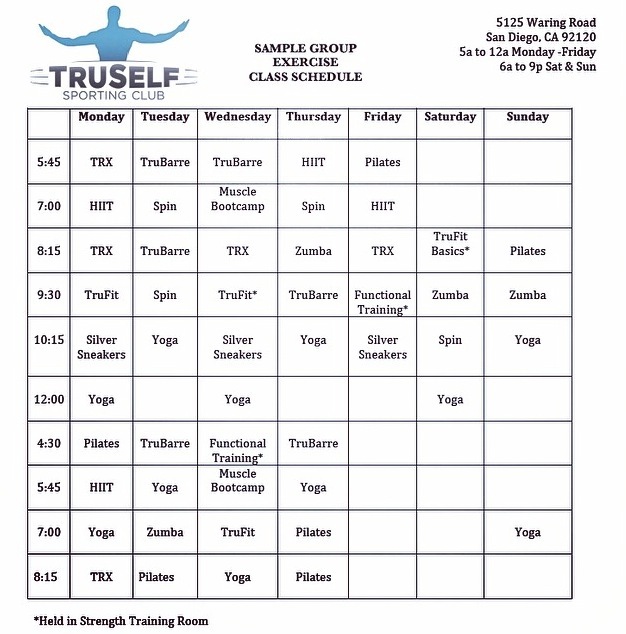 TruSelf Sporting Club is located at 5125 Waring Road, San Diego, Ca 92120 in the neighborhoods of Allied Gardens, Del Cerro and San Carlos. Join TruSelf Sporting Club TODAY FOR PRESALE! Fill out our form below to schedule your tour or for more information on our HEAVILY discounted memberships and personal training programs!